The greyhound track at the county Durham town of Houghton Le Spring was situated at 1° 27' W 54° 50' N and first opened its gates in 1939. 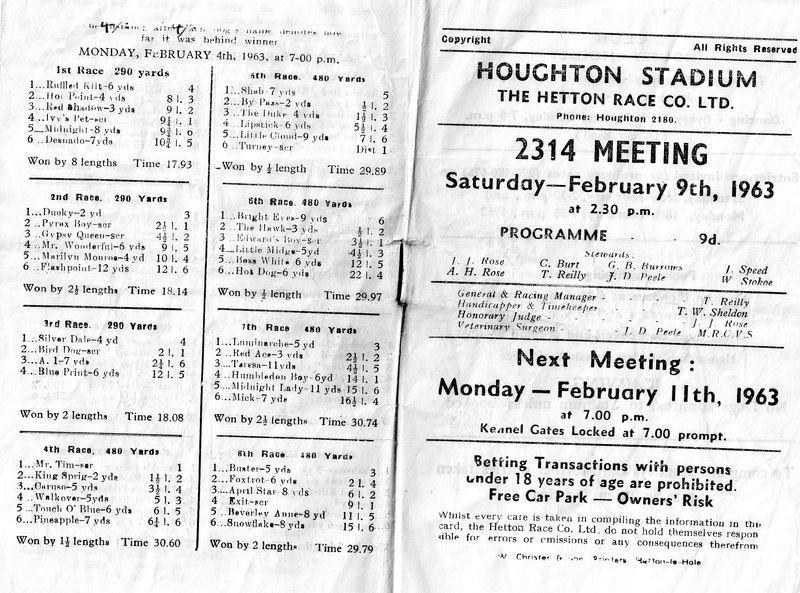 It operated under NGRC rules, with racing administered by Hetton Race Company Ltd, for 32 years before closing for the final time in 1971. The ground on which the former track was situated is now a housing estate.. The General Racing Manager in the 1960s was T.Reilly and the Honorary Judge was J.J.Rose.